A piece of history waiting to be restored. located in Trenton's historical area, large lot with mature trees, workshop, private fenced backyard, open patio area, interior features large rooms, 3 fireplaces, beautiful woodwork throughout, built in cabinetry, partially finished attic, cellar, woodwork, staircase & some of the windows appear to be original to the house, LOTS of Potential, Call for more information or to schedule a showing. Build date given is 1919 but this looks about 10 years older than that. Maybe a Barber? I was thinking that it was a Barber the first few pictures. Maybe Chris will know! Definitely a Barber designed home. Likely built around 1905 as it is an example of Barber’s design # 35E from the third (1901) edition of his “Modern Dwellings” series of pattern books. 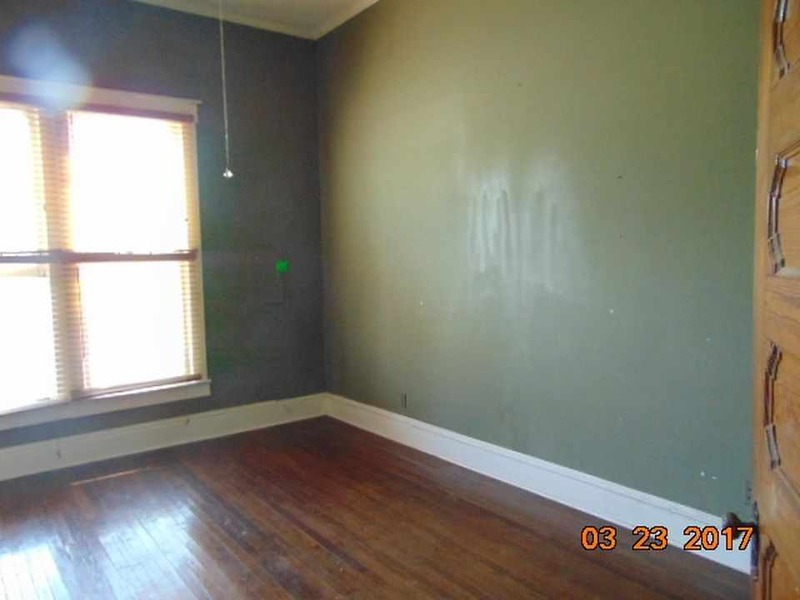 Don’t let the dingy look of this home fool you. There is a boatload of restoration potential here and it looks like much of the repairs needed are cosmetic in nature. Hope someone does right by her. When I moved out here 12 years ago, there were 4 of them in town. Sadly, this one and the one on the same corner two streets away are the only two that remain. They were all the same style Barber houses. CLM, thanks for sharing that info. 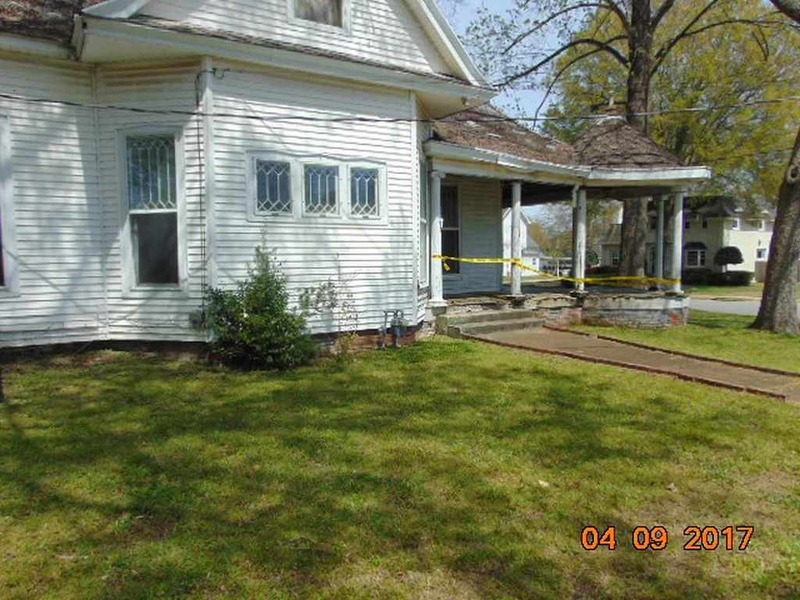 I would like to add the missing homes to my Barber house database, if possible. Would you have any info on the lost houses, like their street addresses, or perhaps any photos of them before they were lost? Thanks. Maybe. It might take me a bit, but I probably have some info on them somewhere. Will look in a bit. I found the pictures with the histories included. Looks like there were actually 5 when I moved here. One of them is brick and it’s still standing. How do you want me to get them to you? 204, 206, 208, 716 High St. and 718 Church St. are/were all Barbers. Google Maps shows all of then except 206 which is just a pile of rubble. I’ll forward you his email address. Thanks CLM, I really appreciate it. Please feel free to send me what you have, to crdimattei@gmail.com. Thanks again for all your help. 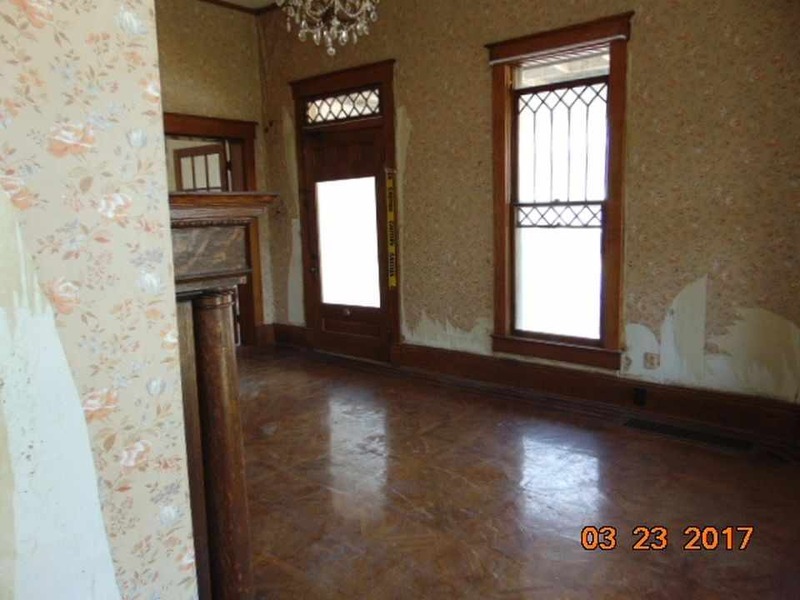 This house has absolutely gorgeous woodwork. Great mantels and window surrounds and the parquet floors are incredible. I absolutely love those old parquet floors and those look phenomenal! It’s a beautiful old Queen Anne, I hope someone fixes her up to her former glory! I love this! Completely unspoiled almost! If only I could convince my crew to move to TN. Great bones, original details, charming neighborhood and a low price. This one is going to be a real prize for whoever gets her. Wow! What an incredible deal! The neighborhood looks lovely as well. Oh she needs so much work but the bones are there. I hope someone snaps her up and has the money and time to see her back to her glory because this house is *gorgeous*. Oh wow, if only I could sell my overpriced SoCal house and fund the restoration of this little gem. The stuff my dreams are made of! Oh Bethany, I always feel the same way. I see all of these amazing homes in other states and tell myself I should sell my overpriced home in SoCal and really start living the dream! I just gotta take the plunge. This house is a treasure. I am praying to the Gods that the windows are never replaced. Agree with Ross 100%! 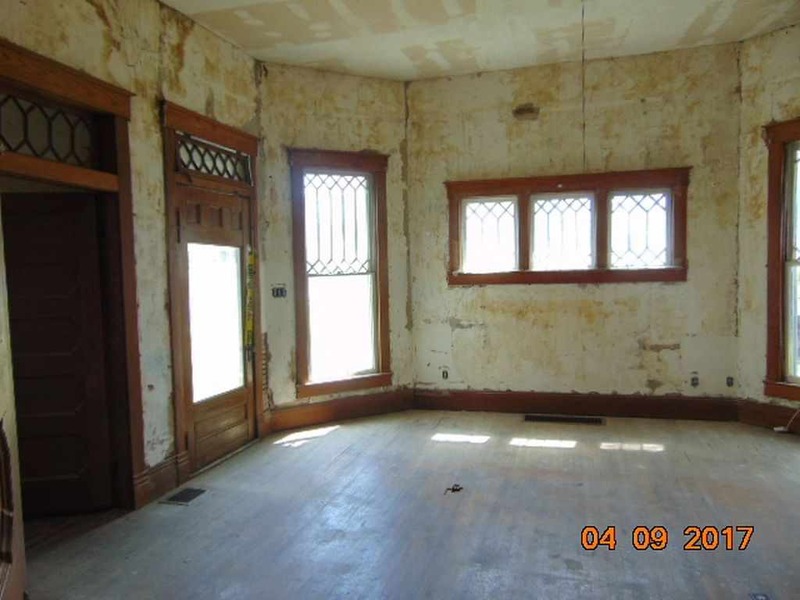 The windows and woodwork are amazing. Is the exterior wall in the second image ROUNDED? Wowzers! Yes, the exterior wall is rounded. I lived in Trenton for a year in the 70’s and my mom still lives about 30 miles north. I went by and took more pictures of the house three weeks ago. It is sound. There may be squirrels nesting in the attic, but it is a joy. Just beautiful! I love the floors in picture #8. I was wondering what that “thing” was in the kitchen, the black metal thing attached to the brick chimney. Could someone tell me, or explain what it does? Thanks! Looks like a smoke hood. Most likely includes a light, exhaust fan, or both. Agree this house is the best ‘bargain’ i’ve seen posted in a while for a capable buyer with skills and/or a budget equal to about twice the asking price! I’m guessing here. It looks like a chimney that originally had a cookstove with a vent/flue. They bricked up the flue and made it a bit of a fireplace with a modern hood attached? Pizza oven? I’d have some safety concerns if it burns wood. Always a bit sad to see a home where someone was trying to bring it back but it went into foreclosure. The cost of renovation is so much more than usually budgeted. 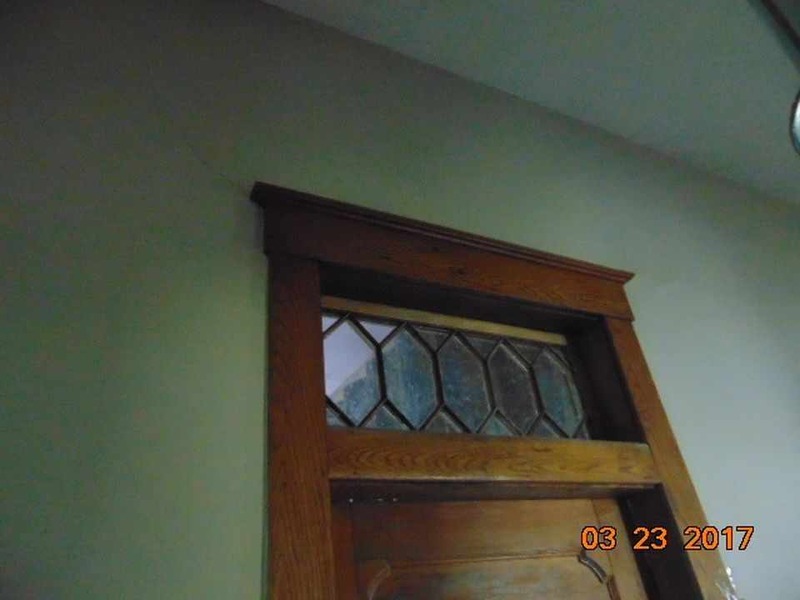 We even see experienced contractors have financial difficulties trying to bring these old beauties back to life. Hope this one finds it’s benefactor who’s also capable of restoration. I agree. I wonder if it was ever lived in meaning did the most recent owner buy it and start renovation? I think it’s a small fireplace. The range/cooktop is way to the left of the sink. I think it’s an added feature, but a really nice one. Maybe used just to ward off chilly temps in the mornings or for ambiance, but I would love to have it. looks like a hood to correct a chimney that does not draw as well as it should, either by build or the serious need for cleaning. it’s an open fire, probably for grilling in the kitchen. 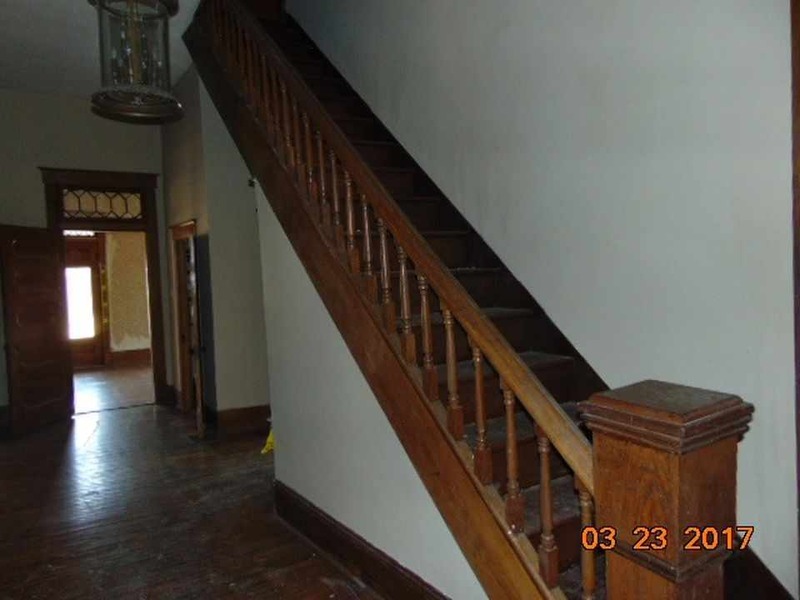 That is a loooooooong stairway beautiful woodwork, are these walls freshly scraped of wallpaper? Looks like the roof was allowed to deteriorate at one point and compromise the walls and ceilings. great old house. needs new roof pronto. otherwise the interior that we can see isn’t too bad. i’ve seen much worse. might need a few rooms with the worst damage to be drywalled but ideally i like to keep the old lathe and plaster. that fireplace thing in the kithcen was a popular thing in the 50’s and 60’s when it was probably constructed. you could grill inside the house. I wouldn’t use that feature now but it could make for a cute decorative feature. 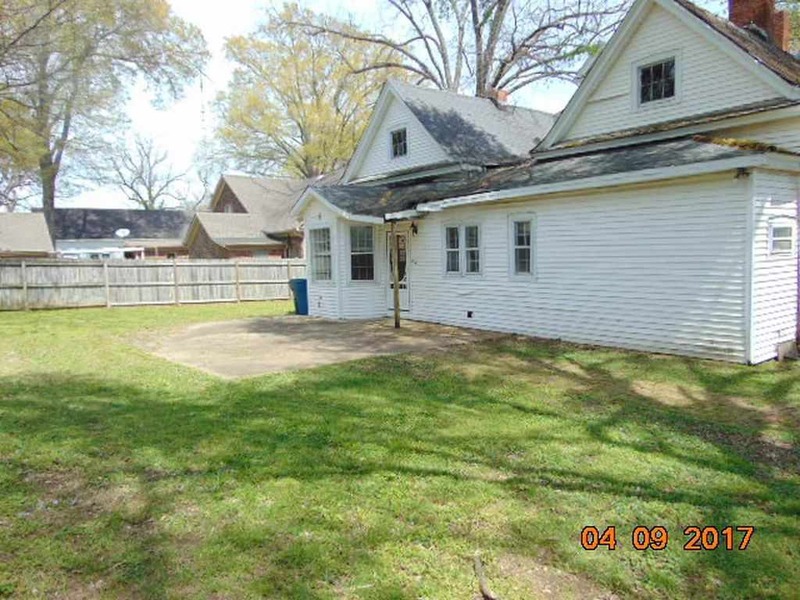 house is so cheap you could put another 100k into it. but for the right diy person it could probably be done for less. even if the plaster keys are broken and the plaster is loose from the lath, use BIG fender washers and screw the plaster back to the lath. then get a REAL plasterer to come in and skim coat with a hard coat compound. it’s worth the extra cost to maintain the integrity and heat sink aspect of real plaster. I really like this home. We are about 5 hrs away from this town. I wish I had the resources to fix this beauty. 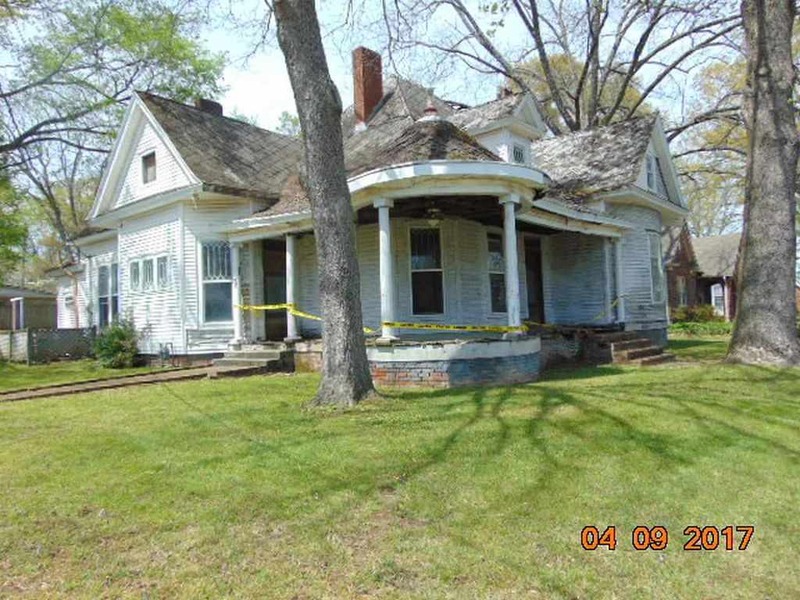 Im on zillow all the time and I would take this old home way before some of these newer million dollar homes here in Chattanooga that have absolutely no character. 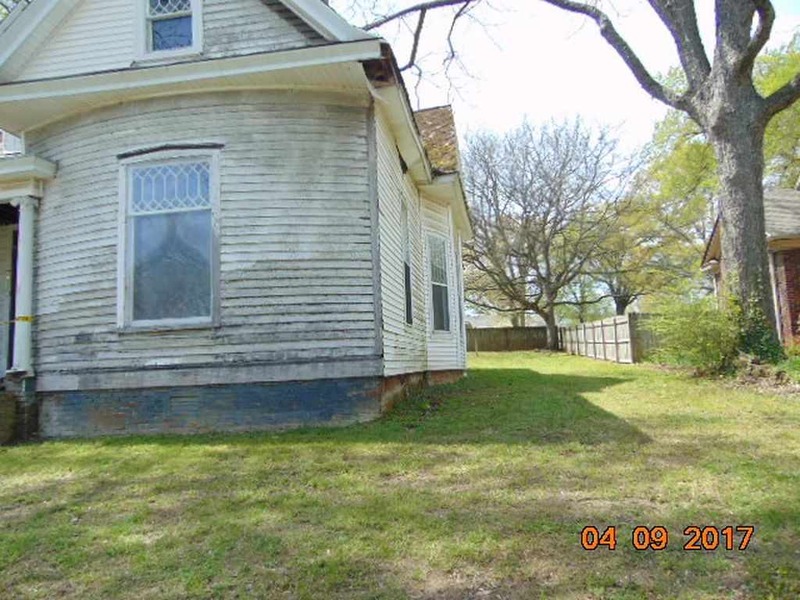 Love the size of this house, and once restored would be so beautiful and it’s under 40 thousand, on a pretty street this is a deal for the right family. ~sigh~ wish it were me. Oh my gosh, the potential here is fairly high! No crime, porch is just unsafe. Very unsafe, but the joists are sound. I was there three weeks ago. If purchased could one move it? I don’t know, that’s a question that only an in-person visit could answer. Reduced by $5,000! Now $34,900! Love this one! Everything is there just waiting for someone to love this house again and I expect it really wouldn’t be that daunting of a task! I live in a town about 10 miles south. I have always loved this house. It has been in this condition for several years now. 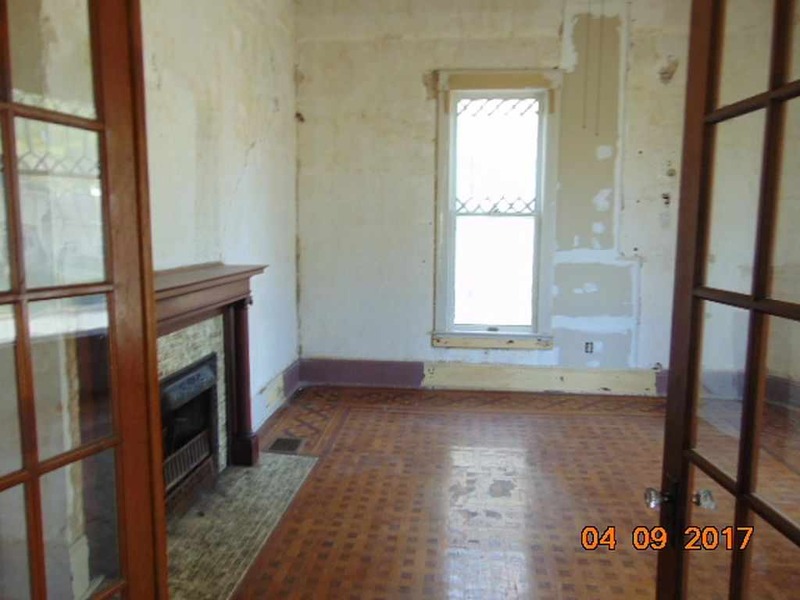 I am guessing the previous owner began a renovation but stopped. It needs someone to save it now before its too late. Had our hopes on this one and just looked at 16 different photos. Black mold ceilings caving in, laundry room floor giving way, water pouring in, insulation hanging covered in black mold. Made me want to cry. We had hyped our selfs up that this was going to be our house. Just to much for us. Hi Teresa–Thanks for clarifying. I guess it has deteriorated quickly and considerably since the pictures were taken in April. My father is a master carpenter. He, too, would not go near this house. I would snap it up in a minute if I needed a house in the area. The house is but $19K. and I see a LOT of fabulous features for $19K. Features which make me drool. All the issues with the house are fixable. All such issues are typical for house priced so low. I can replace rotted floors and collapsed ceilings. I can eradicate mold. I can install new plumbing and electrical. 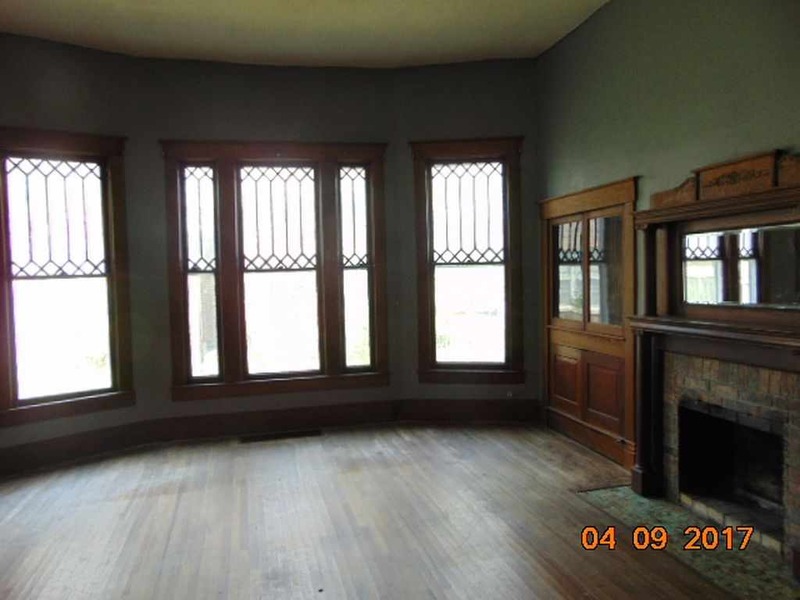 But I cannot replace those gorgeous windows, that gorgeous staircase, and all the incredible trim and mantels and doors. There is SO much beauty embodied within this house. Sorry for not responding earlier it didn’t show that any one else had responded. 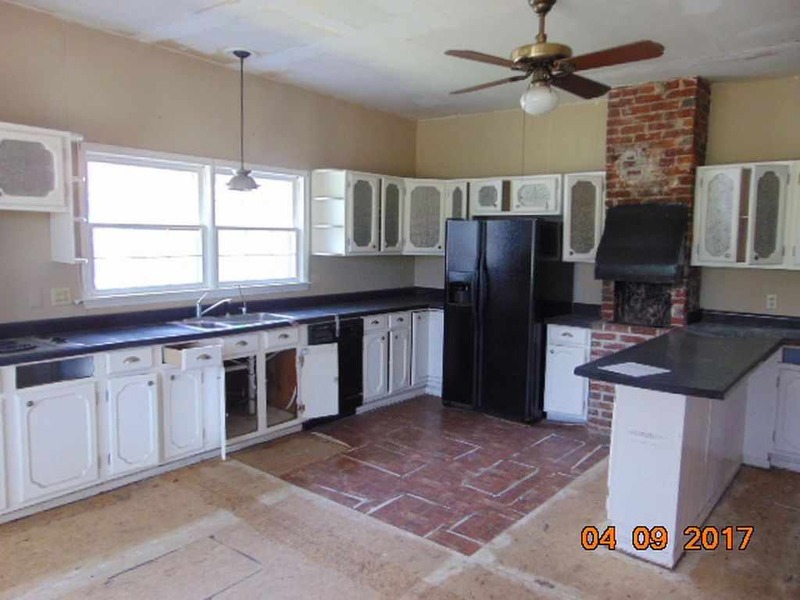 It was 16 different photos the realtor had sent me. I will try and figure out how to attach them. They are in my email, so if some one emails me I can forward them. 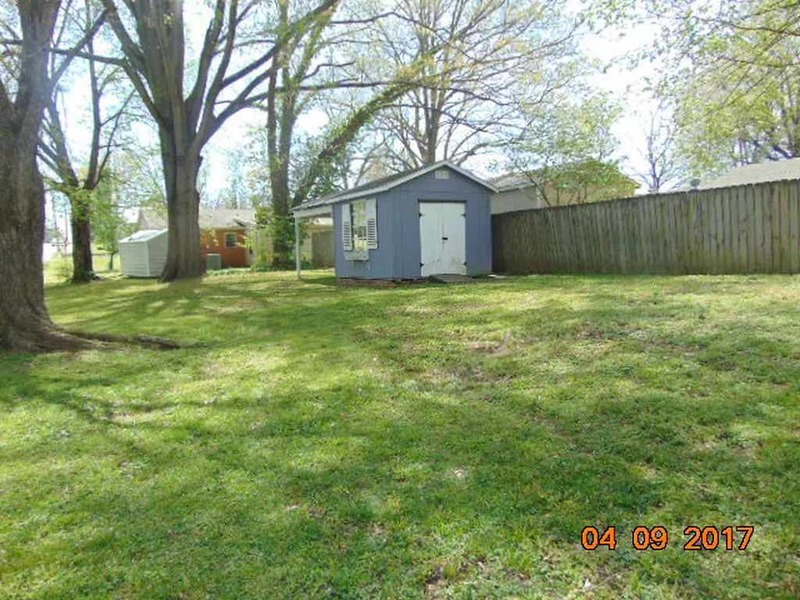 I cant find the email with the pictures that the realtor sent me. Must have deleted them after we got our hearts broke. Still planning on looking at it when we go down in mid August. Found the additional photos, just do not know how to attach them. Email me if you would like to see them. Just wow! 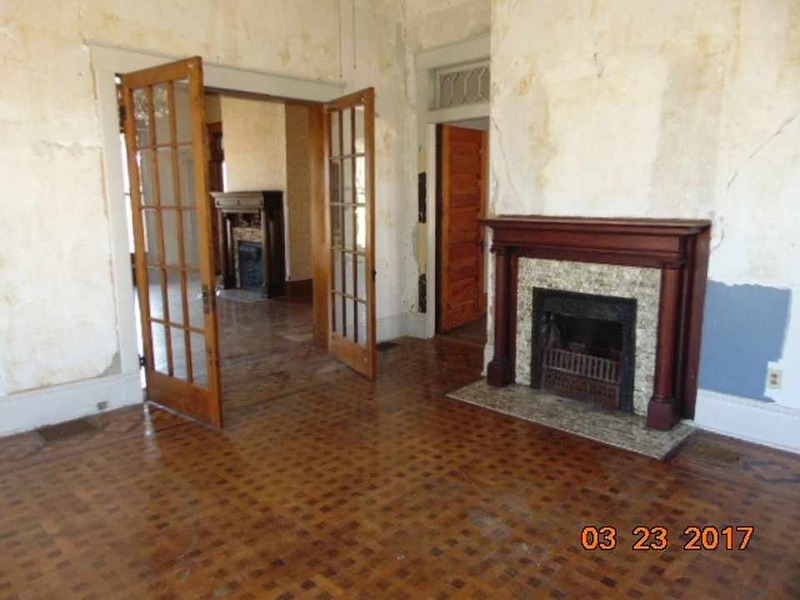 As everyone has already expressed: unpainted woodwork, beautiful floors, fireplaces, windows… And such a low price!! Such beautiful wood work. its funny how the walls show the age but the wood looks like new(ish). Lovely. Its a shame that kind of craftsmanship seems to be a thing of the past. The corner lot had a house on it also, but it wasn’t anything grand. It was used as rentals, I believe. The husband bought that house. They eventually divorced and she bought the lot, so the lot goes with the house. It’s on a corner that they call Mae West corner around here. I live 10 mins from Trenton. 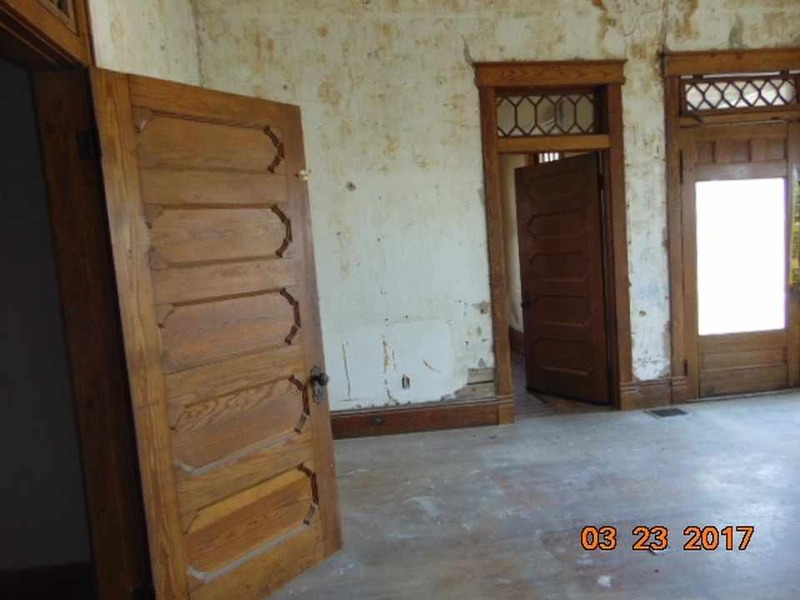 Sadly there are MANY very old homes that are in desperate need of help and restoration. A small town full of gorgeous old homes. Billy W, what is the area like? I know I can’t ask about the neighborhood, so let me ask it this way, is it an area that you would like your mom to live in? Are there stores and businesses close by? I’ll also do a google search, but it always help to get a personal point of view. I only recently started looking at OHD . I wondered who George F. Barber was and looked at many of his designs , one seemed very familiar . I drove by and looked at the home. I t turns out that it is design # 36 .I was also pleased to see that exterior repairs have started . The home is on NE Graham St in Portland OR . I have always liked it since the first time I saw it. Called Realtor twice, never returned calls. Front porch will need replaced along with roof. Big house, huge lot. Always loved this home. It needs rehab now!! So many historical homes in Trenton. Many in horrible shape sitting empty. Now at 14,900. I wish someone would save her. Is there a huge reason why it was reduced so low in price??? I’m extremely interested! The bones look good on this one. I find it interesting to see so many variations on what was called “Colonial Sash” with its characteristic muntin divided diamond panes. 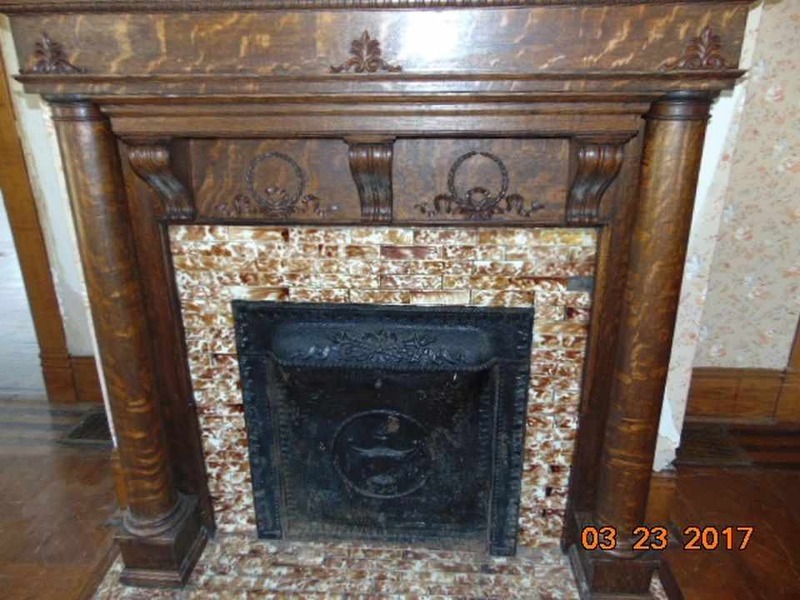 Additional evidence of a stylistic fondness for the Colonial Revival is found in the applied carved Colonial wreaths on the fine quarter-sawn Oak mantel. The inlaid patterned flooring is another elegant touch from the early 1900’s. 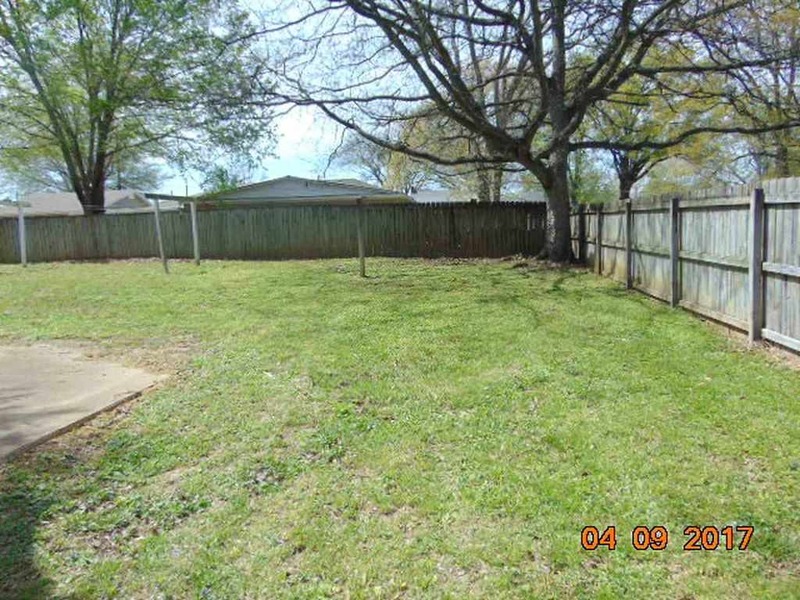 The fenced in back yard also looks very appealing. Granted, the seen from a distance front porch obviously needs attention but overall, considering the low price, I see potential. If the surrounding neighborhood is acceptable, that for sale sign shouldn’t stay there much longer. Foreclosures have traditionally offered some of the best housing values for those prepared to roll up their sleeves and bring a faded old house back. We came down from Maine 2 weeks ago to NC to stay while we looked in TN for a House. We were pretty sure we were going to take this one even with the problems from the extra pictures we got. (They sent us another set of pictures, along with the additional pictures they sent us.) When we left Maine it was still for sale, but by the time we got down here and then to Trenton it was sold. We still got to look at it. We would have taken it. Pictures didn’t show the floors are buckled a little in spots. Couldn’t go in bathroom, laundry, basement stairs area because of Hazmat and floor. Roof slate, except over back part of house which is the kitchen. That small roof has kind of pulled away from the house. First time really looking at houses online then in person. The one thing we have learned is that even the bad pictures look better than real life and nothing is as big as it looks in the pictures. Don’t forget about the smell. We looked at 7 houses yesterday and 1 was a maybe, but the price was high because of it being in a historical neighborhood. One was a low, low maybe. Another one we didn’t even get out of the car. 3 of them looked like crack houses on the inside and I don’t think you could have got the smell out. The last one didn’t look like the pictures on the inside or out side. Thanks for that update Neil. All those reasons are exactly why I tell people to see the house in person because it’s never as good or as bad as it shows in listing pics. Glad you actually visited! So this home posted was under offer or official sold? Sorry, I think I just emailed you the first set of pictures which I sent you already. The second set I deleted after we saw the house, but we did take some pictures that I will send you if you want. Barbara Peterson, the one that was handling this house told me it sold 3 days before I called her. She only handles foreclosures, set us up with a realtor that that was showing the place for her. He offered to show us it even though it was sold. He told us a man bought it for a friend in Mississippi. He told us the offer was excepted. The man offered 10, they countered with 13 and they excepted. We had to sign a release form before we could see it. So it’s really sold then? Ok, by that information I’ll mark it as off market at least. Thanks. Showing sold for $13,500 but put back on the market at $18,500. Might be a case of a zero investment flip. The premise is simple…buy a bargain house, mark up the price by whatever you feel the market can bear, and try to sell it, if you can. Sometimes such a selling strategy works and sometimes not. There are too many issues noted with this property for me to comment on whether the newly increased price would impede a sale or not. The extra $5k might be to provide some “wiggle room” for price negotiations rather than for a modest profit of $5K.